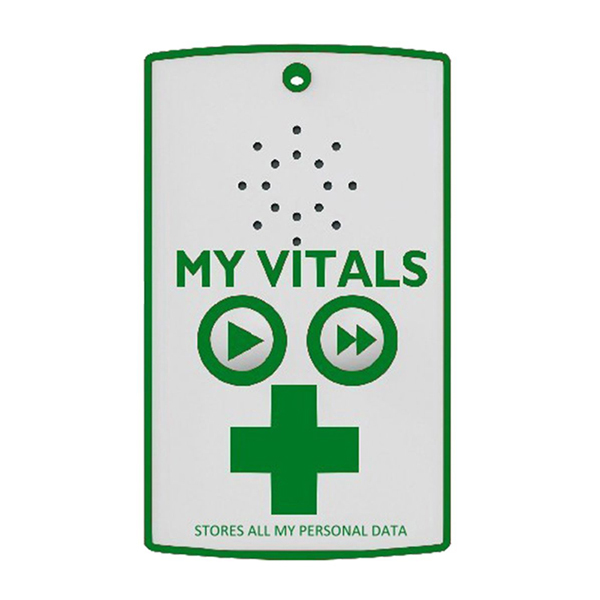 My Vitals Safety Tag stores a voice recording of critical information that can be accessed by anyone in an emergency. My Vitals Safety Tag stores a voice recording of critical information that can be accessed by anyone in an emergency. This can provide peace of mind for those with dementia or other conditions which could leave them at risk when unable to convey critical information, be that as simple as a home address, next of kin contact or allergies. The gadget securely stores a voice recording up tp 95 seconds long.